Unravel Two for Nintendo Switch was announced in the last Nintendo Direct presentation, and as of this week is now available for download on the eshop! The folks over at Electronic Arts & Coldwood Games were kind enough to provide myself (Switch Nindies) a review key and if you’re on the fence about making the purchase, today I’ll be providing a short preview discussing how the game performs and more to hold you over until our full review. The story of Unravel Two soon begins upon washing ashore in a mysterious place. You begin to search your surroundings and then discover another being when you awaken. Who is it? Well, its another friend known as a “Yarny” who looks very similar to yourself. Once you become friends, this is where those bonds of friendship become tested in Unravel Two. After this brief encounter the game opens up to test your puzzle platforms skills. The first chapter of Unravel Two is more or less a tutorial area for the game where you learn how to control both Yarnys and what they are able to do. Are you ready to test you’re ability to switch back and fourth with one another? Throw Yarn simply by pressing ZL to grapple/climb onto certain points, or tie knots using the Y button at two of these points to create a bridge. Can’t make it across a gap? Well hold a long piece of yarn for your friend and watch him slide down it and use it to swing across. You’ll be tasked with swinging, climbing, and more between the two Yarnys in order to progress so switching between the two (unless your doing co-op) will be needed to advance! While the above is primarily for 2-player co-op with individual Joy-Con, the game gives you the freedom to switch between the two at will providing you the ability to play in handheld mode or with attached Joy-Con controllers. While Chapter 1 just gets you into the swing of things by teaching you the overall controls, it flows into the rest of the game quite nicely. My experience so far while playing in handheld mode has been pleasant as I have yet to run into any major performance hicks or issues. The game looks and sounds absolutely beautiful with no major difference when switched between Handheld and Docked play, and overall it’s been the perfect handheld experience for me thus far (I primarily game in Handheld so this was quite nice in my opinion). 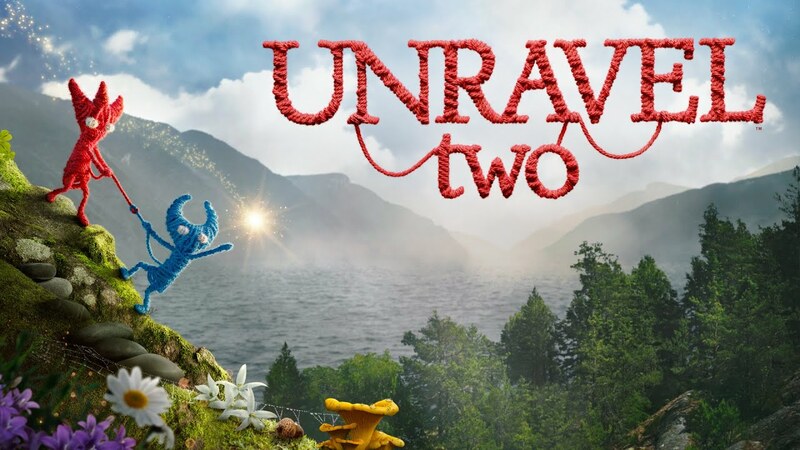 For my full thoughts on Unravel Two however, be sure to check back when my tell-all review is posted later this month.